Labour Commissioners are getting ready to take trade union action as authorities have not taken any measures to find solutions for the strike begun by labour officers which has continued for nine days. The Union of Labour Commissioners has observed that the tug-of-war between the Minister and the Deputy Minister has been responsible for the delay in finding a solution for the issue. The Union of Labour Commissioners says they too would take trade union action if the conflict is not solved within the next few days. If no solution is forthcoming within the next week they would, as a first step, launch a token strike and if this too doesn’t bring any result they would have no other alternative other than launch a continuous strike action say Labour Commissioners’ Union. Meanwhile, Labour Officers Union has decided to launch a protest campaign in Colombo on Monday. An attempt is being made by higher officials of the Ceylon Electricity Board (CEB) to undermine investigations being carried out in connection with the frauds committed in the CEB relevant to ‘Uthuru Wasanthaya’ and ‘Uva Udanaya’ projects begun during previous Rajapaksa regime state trade unions in CEB. Mr. D.V.S.K. Fonseka, the official carrying out the relevant investigations, retired on 13th February and as the investigations were not completed the Board of Directors of the CEB decided to continue Mr. Fonseka’s service on a contract basis so that he could complete the investigation. The investigation should have been completed by August this year but investigations regarding two managers in charge of ‘Uthuru Wasanthaya’ could not be completed and the Board of Directors decided to extend Mr. Fonseka’s contract by three more months. It is reported that the investigations conducted so far have revealed a fraud of Rs. 400 million. As frauds of certain administrative officers and engineers would be exposed if the investigations are allowed to be completed, a letter, in an attempt to undermine investigations, has been sent to the Chairman stating that extending Mr. Fonseka’s service was not legal. The investigations in connection with ‘Uthuru Wasanthaya’ and ‘Uva Udanaya’ are being carried out with the assistance of the CID. Hence, the investigations should be allowed to be carried out without any interference states trade unions. 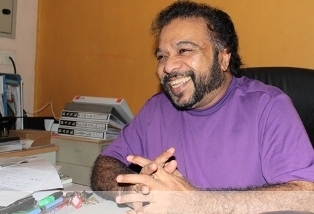 In two more years it would be seventy years since independence and when looking back at the past 68 years it is evident that rulers who administered the country have destroyed it says Gypsies’ singer Sunil Perera. He has no confidence in the the main parties that ruled the country and even after 68 years of independence the youth have to go abroad as refugees and the country has become a place that is not suitable for the youths to live states Mr. Perera. Those who have come to politics as ordinary folk and have built mansions have definitely stolen public money, politicians continue to steal public property and this could be stopped only by giving the administrative power of eh country to the JVP said Gypsies’ leader. Mr. Sunil Perera made these observations participating in the ‘Mathakada’ programme broadcast by ‘Ran FM’ radio. He said some spend Rs.90 million to build Buddha statues expecting merit but there are many schools in the country where students have to study without desks and chairs and toilets either. He said this is a country where presidents open Buddha statues built spending Rs.90 million but such practices would not bring merit to them and if they really expect merit they should look after the poor children in poor schools. Catholic religion teaches to ‘love thy neighbour’ but he is not allowed to attend mass as he is married to a Buddhist lady added Mr. Sunil Perera.